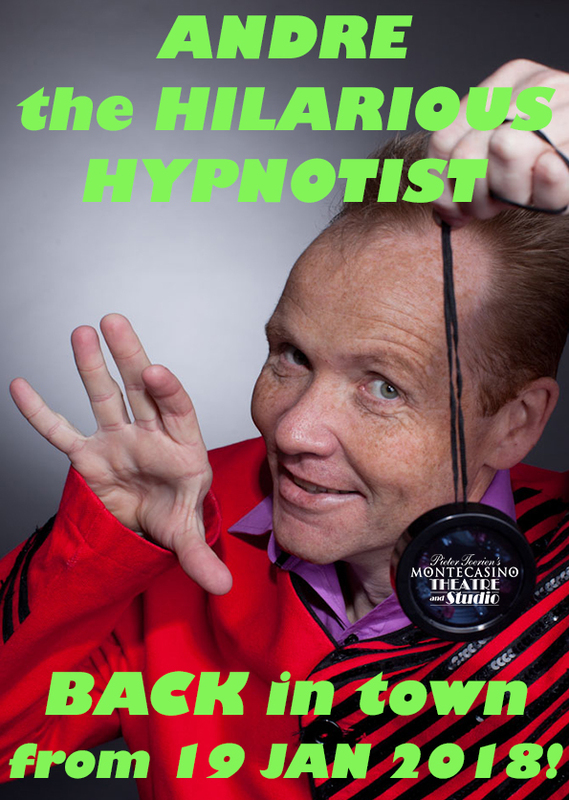 South Africa’s favourite hypnotist is back! Andre’s 2018 show promises to be even funnier than ever before with all your favourite moments as well as plenty of new surprises and laughs to be had! This magical man is an entertainer suited to all ages, making ANDRE THE HILARIOUS HYPNOTIST a perfect night out for the entire family.